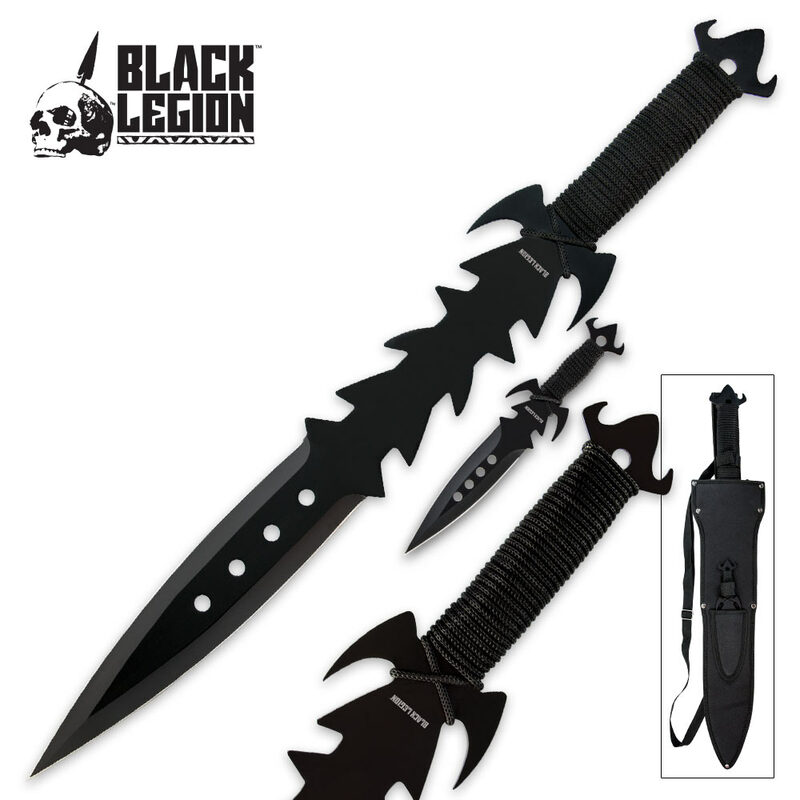 The Ebony Sword and Throwing Knife Set presented by Black Legion will appeal to the modern day Ninja. 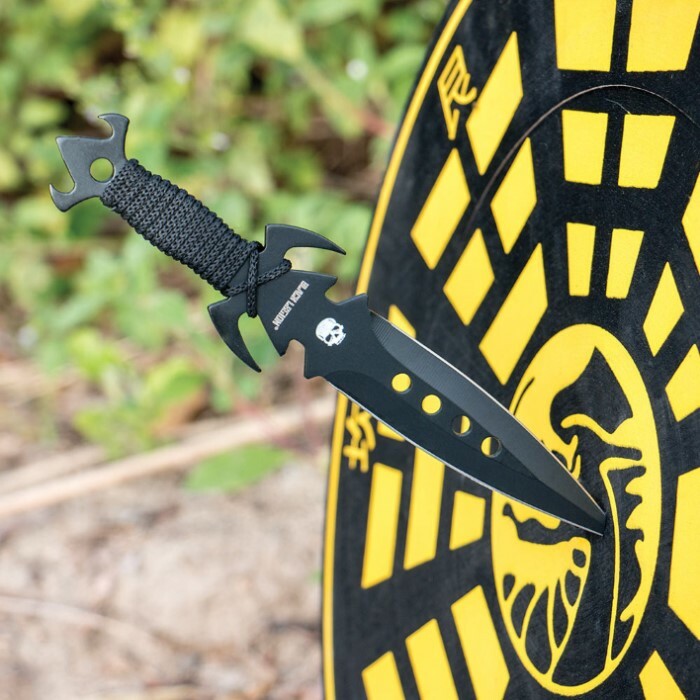 This incredibly sophisticated pair includes a 25" fantasy sword with a 10-1/2" sharpened edge and black cord-wrapped handle. 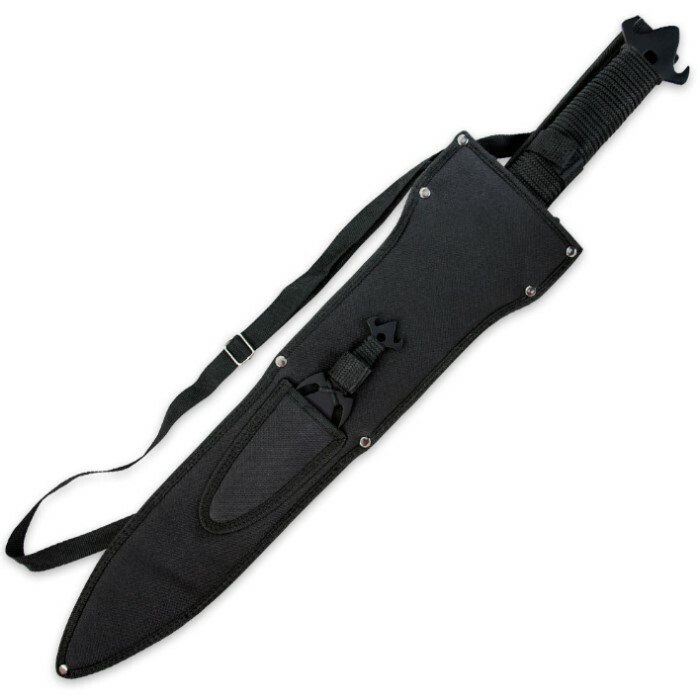 The 7-1/2" throwing knife compliments the sword and the set is housed together in a nylon shoulder sheath.